The band’s debut 'Eternity', despite being nothing more than standard 90's power metal, had some pretty cool moments in there. Unfortunately their follow-up album, 'Dominion', is more-or-less the same thing, only with all-round weaker and less memorable songs. However, with that said, there are two highlights for me, which is 'Song of Roland' and 'We Are Not Separate'. At this point both of these songs are stronger than anything else Kamelot recorded on this album or its predecessor. Sadly they're just not enough to save the whole album from being anything more than "good". 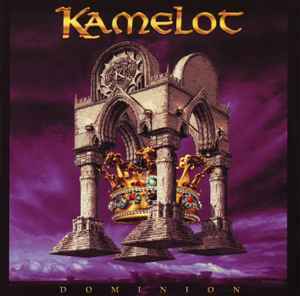 An all-round good power metal album, not really for anyone other than Kamelot diehards though. The best is yet to come.